"The IRS estimates it takes a typical tax filer a total of seven hours to fill out Form 1040—including two hours of record keeping and four hours completing and submitting forms. Got a small business? The average time increases to 19 hours, including 10 on record keeping and five for the forms." Haven’t filed your taxes yet? You’re far from alone—plenty of people wait until the last minute. Last year, for example, the IRS reported having received 94.1 million returns by the end of March. That number jumped to almost 137 million returns by April 20, three days after the April 17 deadline. 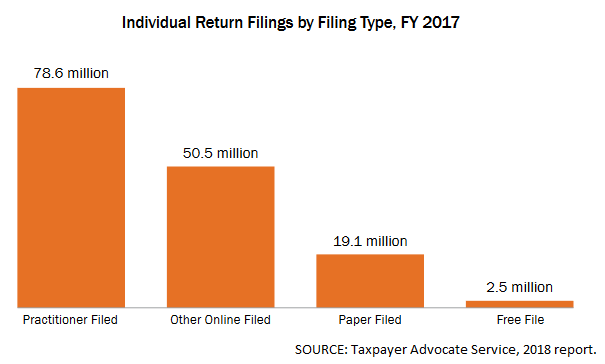 In other words, about 3 in 10 filers got their returns in during the final three weeks. It’s not surprising that we tend to procrastinate on taxes and other financial tasks. “We procrastinate on tough decisions—and the more important the decision is, the greater the chance we procrastinate it,” Petr Ludwig, coauthor of “The End of Procrastination” told Grow earlier this year. Stay calm. You still have plenty of time to take action. The IRS estimates it takes a typical tax filer a total of seven hours to fill out Form 1040—including two hours of record keeping and four hours completing and submitting forms. Got a small business? The average time increases to 19 hours, including 10 on record keeping and five for the forms. Your first option: If you don’t think you can complete your taxes before the April 15 deadline, file an extension with Form 4868. But keep in mind that if you do file an extension, that only extends your filing date. Taxpayers who owe the IRS don’t get any longer to pay up. “You still need to—at the best of your ability, or hire a tax professional—calculate what you think you will owe for the year and pay that tax liability by April 15,” says Amy Wang, senior manager of tax policy and advocacy for the American Institute of Certified Public Accountants. Option two: Stop procrastinating, and get started on your return. Take these three steps to reduce the stress of a last-minute tax filing. Forgetting a key document this late in the game could be problematic—and such mishaps do happen. Missing tax documents or late documents is the fourth-largest concern among enrolled tax agents, according to a survey of such preparers by the National Association of Enrolled Agents (NAEA). The survey found that people are most likely to forget papers related to charitable contributions, medical expenses, and property taxes, among others. If you are ever questioning which tax-related documents to keep or throw away, err on the side of keeping an item. It’s better to bring your tax agent more documents you may not need, than to forget a key form, Robert Kerr, executive vice president of the NAEA, told Grow earlier this year. Don’t let the looming deadline rush you into paying more than you need to for tax prep. Shop around. In 2018, the national average fee to have a professional prepare and file a federal and state return claiming the standard deduction was $188, according to data from the National Society of Accountants from the National Society of Accountants. Itemized returns averaged $294. There are even several avenues that offer free prep and filing, namely, Free File. It’s a partnership between the IRS and the Free File Alliance, a group of tax prep software providers. Millions of people qualify for free tax prep using Free File, but most don’t realize it. Once your return is wrapped up, it’s time to turn your attention to the results—meaning your refund or balance due. If you end up owing the government money and don’t have the means to pay it back immediately, consider setting up a payment plan with the IRS to spread out what you owe. If you owe less than $50,000, you can accomplish that by filling out Form 9465. Getting a refund? Come up with a plan to make that money work for you. Experts recommend investing your tax refund into yourself by identifying financial strains that could be alleviated, like credit card debt or a depleted emergency fund.